The names of the military pilots selected in 2010 to form China’s second group of taikonauts – which have been a closely guarded secret for the last 18 months – appear to have been released to the space community, due to a possible philatelic blunder. A space collectibles website is offering a postal cover for sale – apparently signed by the five men and two women who make up the group. The cover is dated 10th May 2010 which is the date which the Chinese have previously mentioned as the official date that the group were appointed to the Chinese Astronaut Team. 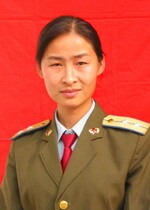 The two women taikonauts are named as Liu Yang and Wang Yaping. Wang had previously been identified, and exclusively revealed as a taikonaut by these authors (Tony Quine, Igor Lissov) in November 2010, when sources close to the Chinese programme had, when pressed, confirmed her inclusion in the group. 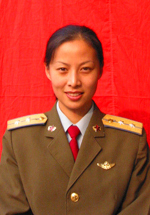 Liu Yang is also known to be a member of the same generation of Peoples Liberation Army Air Force female transport pilots as Wang, and has previously featured in the Chinese media for her aviation exploits. As such, her inclusion in the group is logical and there need be little doubt about the accuracy of her name appearing on the offending cover. Liu is believed to hold the military of Major, whilst Wang is a Captain. Recent reports from China during the Tiangong 1 and Shenzhou 8 missions had mentioned that two women, together with seven men from the original 1998 taikonaut selection, formed the nine person training group for the anticipated Shenzhou 9 and 10 flights, planned to visit Tiangong 1 in 2012. We can now be certain that the two women are Wang and Liu, and that, in all probability, one of them will become the first Chinese woman is space, within the next year. The names of the five men were recorded in the note accompanying the postal cover as Zhang Lu, Chen Dong, Cai Xuzhe, Tang Hongbo and Yi Guangfu. It is possible, even likely, that these names have been read from the handwritten signatures on the envelope, although Chinese space forum sources have helped to verify these names as far as possible, from interpretation of the signatures. These five men are not involved in the Shenzhou 9 and 10 missions, suggesting that they will have to wait until at least the Tiangong 2 series of missions scheduled no earlier than 2013 to reach orbit. The new astronauts will certainly participate on the manned missions for TianGong-2 and TianGong-3, and we should expect that China will select a new taikonau class within two years. The TianGong-1 spacecraft is expected to stay in orbit for two years and rendezvous and dock with three different spaceships. Beyond the Shenzhou-8, Shenzhou-9 and Shenzhou-10 will make similar missions and at least one of the two is to be manned. The taikonauts will stay a maximum of two weeks on board. Before taikonauts climb on board TianGong-1, the conditions inside its experimental module will be adjusted to ensure they can live in an environment that contains enough oxygen, moisture and heat to be safe. TianGong-1 will be placed on a near circular 350 km orbit after two orbiting manoeuvres and prior to the Shenzhou-8 launch this orbit will be reduced to 343 km. Two days after launch, the docking between the two vehicles will take place. In the future the TianGong will be upgraded to a cargo vehicle to service the Mir-class station with its core module due to launch in 2020, but before that China plans to launch the TG-2 TianGong-2 in 2014 (to develop the necessary technologies for water and oxygen regeneration necessary for short-term stay in orbit and to carry out some scientific experiments) and TG-3 TianGong-3 in 2015/2016. TG-3 will probably be equipped with two docking ports, this way allowing a permanent residency of the module. TG-3 mission is going to be the development of the technologies necessary for medium- to long-term orbit stay and to carry out more sophisticated scientific researches and experiments. 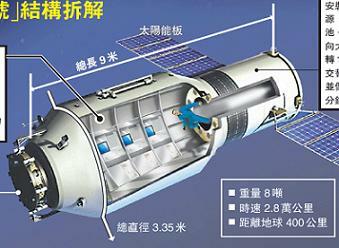 Considerable modifications have been made to the previous versions of the Shenzhou vehicle to prepare Shenzhou-8 for the docking mission. According to Chinese media, more than 600 modifications have been made, while nearly devices account for about 15 percent of the total. These modifications had the objective to arm the vehicle with automatic and manual rendezvous and docking capabilities, as well as to enhance the performance, safety and reliability. The chief designer of China’s spacecraft systems, Zhang Bainan, said that Shenzhou 8 was going be the last vehicle to see significant modifications from previous ones and the next missions will use the same design that is intended for mass production. The Shenzhou spacecraft was designed and developed by many of organisations participating on the Chinese human space program. The primary contractor was China Academy of Space Technology (CAST) and was responsible for the overall concept of the vehicle. Qi Faren was appointed the chief designer of the Shenzhou design team in 1992, being later succeeded in 2004 by Zhang Bai-Nan. Qi Faren was also the chief designer of DongFanf Hong, China first satellite. CAST was responsible for the design of the Orbital and Re-entry Module, and the Shanghai Academy of Spaceflight Technology (SAST) was responsible the design of Service Module, as well as the electrical power system, propulsion system, and telemetry, tracking and communications systems. The development of onboard application payloads was made by the China Academy of Science. The development of the environment control and life support system was tasked to the Institute of Space Medicine Engineering and the Academy of Aerospace Solid Propulsion Technology was responsible for the launch escape system. 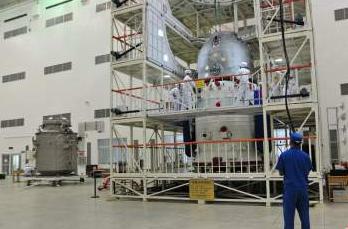 Shenzhou was based on the Russian Soyuz-TM spacecraft and can carry up to three astronauts inside its Re-Entry Module. This module provides a fully pressurised and habitable living space in all phases of the mission, but the taikonautas can also use the Orbital Module that provides additional habitable space for conducting scientific experiments. This module is equipped with navigation, communications, flight control, thermal control, batteries, oxygen tanks, and propulsions systems. Total mass of the spacecraft is 8,082 kg, length 9.25 meters, maximum diameter 2.80 meters and a 17.00 meter span. The Orbital Module has a length of 2.80 meters, a mass of 1,500 kg and a diameter of 2.25 meters. Is equipped with two solar panels for power generation (0.5 W) and each panel is 2.0 meters by 3.4 meters. This module is equipped with a propulsion system comprised of 16 small thrusters distributed by four groups. The Re-entry Module has a length of 2.50 meters, a mass of 3,240 kg and a diameter of 2.52 meters. 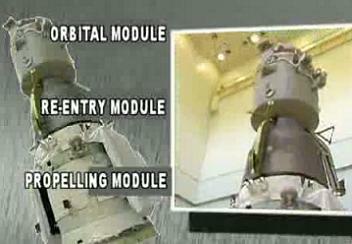 This module is equipped with a heat shield with a mass of 450 kg. The Service Module has a length of 3.05 meters, a mass of 3,000 kg and a maximum diameter of 2.80 meters. Is equipped with two solar panels for power generation (1.5 W) and each panel is 2.0 meters by 7.0 meters. This module is equipped with the Shenzhou main propulsion system that consists of four high-thrust main engines and 24 smaller-thrust control engines, as well as four 230-litre propellant tanks containing a total of 1,000kg N2O4/MMH liquid propellant. The four main engines (2.5kN) are located at the base of the spacecraft’s Service Module. The spacecraft also has eight (in four pairs) 150N pitch and yaw thrust vectors, eight (in four pairs) 5N pitch and yaw thrust vectors and eight (in four pairs) 5N roll / translation thrust vectors. Like on Soyuz manned space craft, on re-entry, the orbital and service modules are separated and discarded, and then the re-entry module makes a ballistic descent through the atmosphere. Primary landing target is located in Inner Mongolia.